Epson, a world leader in digital imaging and printing solutions,showcased its winning products and solutions in the Epson Solutions & Technology Convention 2017. 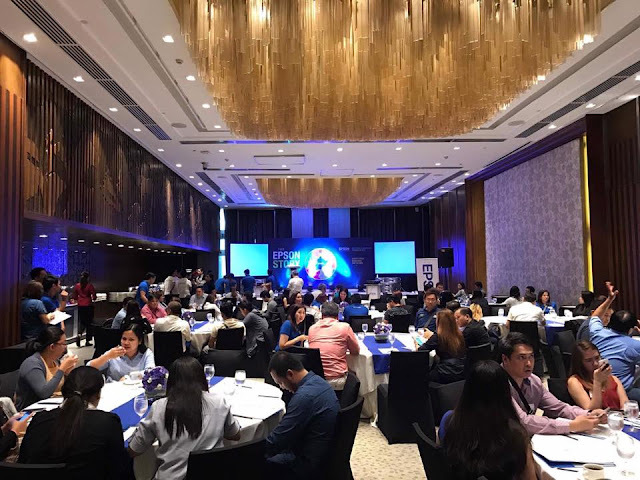 Held at the Marco Polo Ortigas Manila, the convention aims to support local businesses to be competitive amidst economic uncertainties, controlled labor market conditions and increased foreign competition. The one-day event showcases Epson’s intelligent and innovative solutions that will help the business community meet the demands of the future through the integration of self-service, augmented reality, interactive projection and other technologies. It showcases Epson’s solutions across print, projection, label and smart glasses in an enterprise setting; as well as showcases Epson’s latest products in the pipeline. Invited guests include partners, reseller base, media and select customers and end-users from various industries. “The Epson story has always been about creating Inspirational Technology for a Better Future. Always at the heart of these developments is our deep commitment to understand the changing needs of customers. Epson owns innovative technologies that are continuallyexceeding their expectations,” explains Mr. Cris Sanchez, Sales Division Head, Epson Philippines. 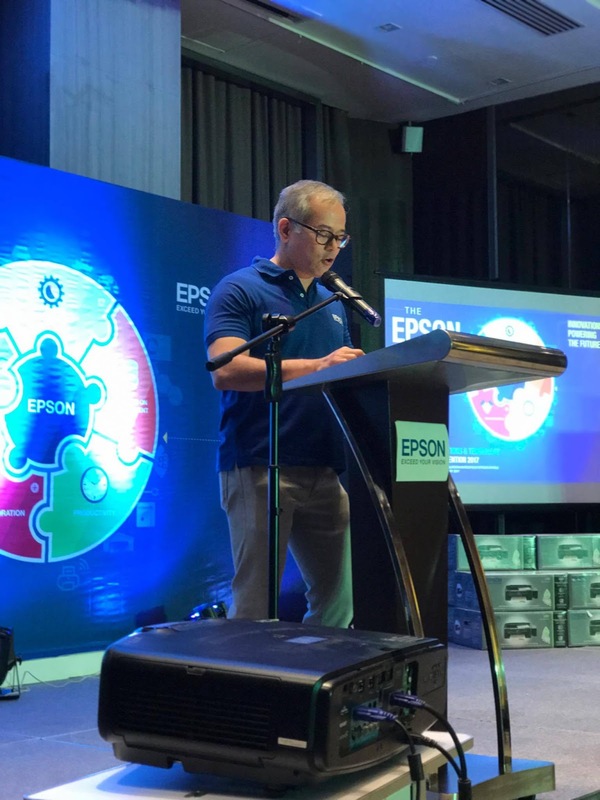 The Epson convention will demonstrate how the adoption of the company’s print, scan, label and projection solutions will strengthen Philippine businesses in facing the challenges of the future. During the program, Epson experts will provide insights on how to develop a holistic strategy when investing in technology. This integration across devices will help drive cost savings, process improvement and realize gains in productivity. A guided SolutionsTour will feature several booths on various solutions and applications for every business department including Customer Service, Marketing, Training, Finance and Logistics and Warehouse. Some of the innovation products to be unveiled are the Moverio smart glasses in the Customer Service booth, Epson’s interactive projectors and large format printers in the Training Department and Marketing Department booths. Epson’s Moveriosmart glasses will be used to let guests appreciate the immersive Customer Service experience that the Moverio smart glasses can offer while the interactive projectors and large format printers will be used to show guests the convenience and efficiency of the solutions offered by Epson. 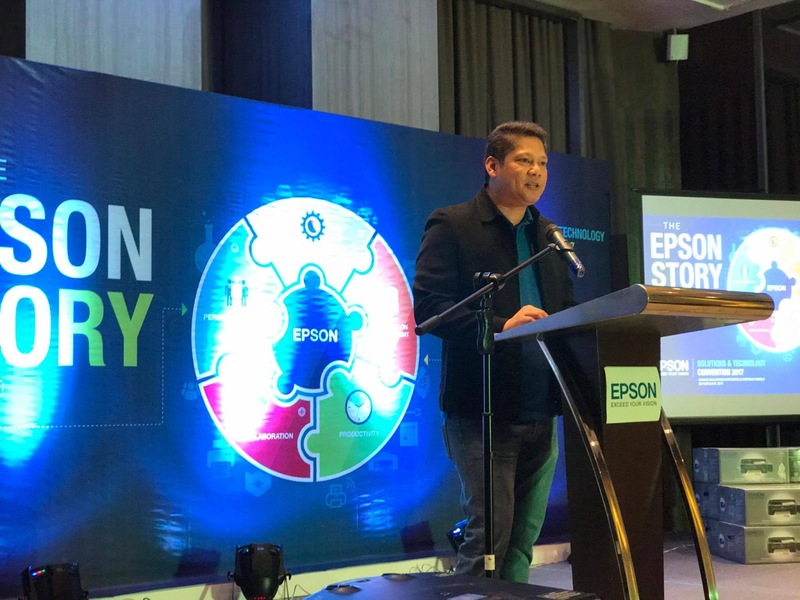 “In the past few years, Epson Philippines has gained the leading market share in its key categories, a testimony to the successful product designs and solutions that the company has created and offered to our customers. We hope that through this convention and our other undertakings for the corporate segment, we can help boost the successful integration of technology to Philippine businesses. This way, Epson can be a partner in making Filipino business owners pursue a global approach that will help them flourish, even with stiff competition from local and foreign providers,” concludes Mr. Ed Bonoan, Senior General Manager and Head of Marketing, Epson Philippines.